The ATO have released information on what to look for when receiving any communication that is purported to be sent by the ATO. There have been numerous new scams during March, that taxpayers need to be wary of. We look at the most regular ones received. Scammers are leaving people voicemail messages threatening the recipients with arrest due to an unknown tax debt or suspected tax evasion. 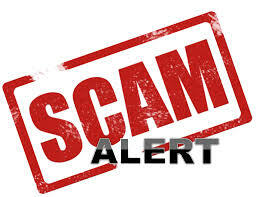 The scammers claim to be from the ATO and many threaten that a warrant for the person’s arrest will be issued if they do not call the scammer back on the phone number provided. Scammers are sending fake ATO emails asking completion of a ‘tax refund review’ form to receive a refund. The form asks for online banking credentials, credit card numbers and limits, and personal address information. Do not click nor save the attachment as it may download malicious malware onto your computer. Do not disclose the personal information the form is requesting. If you receive any correspondence from the ATO that doesn’t ‘look quite right’, please feel free to contact our office for us to identify if what you’ve received is legitimate. Rental properties and the new depreciation rulesDo you claim worked related car deductions?